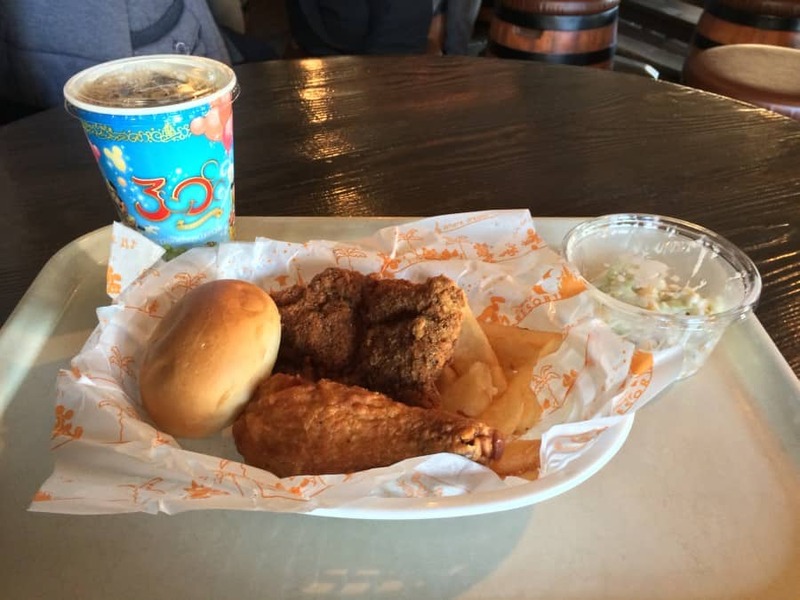 One topic that many folks have questions when visiting Tokyo Disney Resort is dining. While many of the restaurants cater to the Japanese and their diet, there’s plenty of “North American” options for those not feeling adventurous (or – if you’re like me – when you get hungry is you want something familiar and not wanting to try anything new!). By reading that you can tell they won’t be serving burgers. 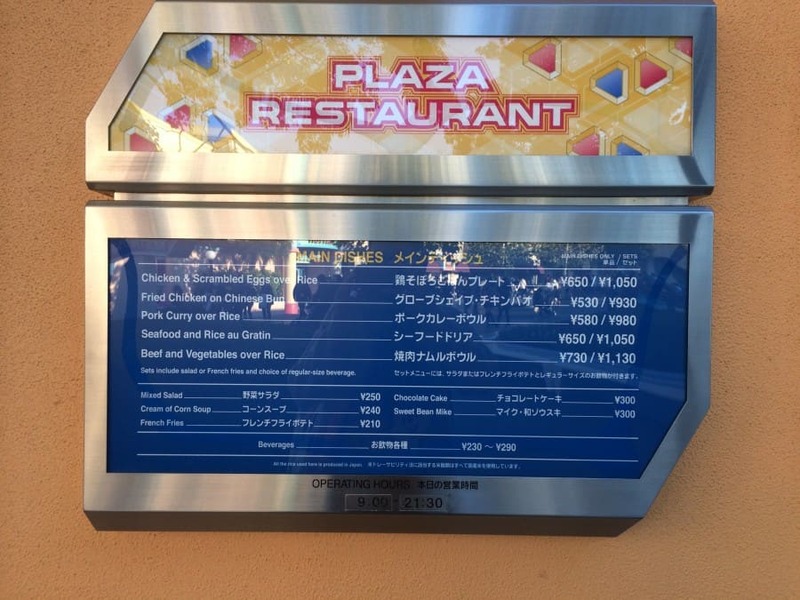 Of course you can always check their menu when you are in the parks too, which are always available outside the restaurant. 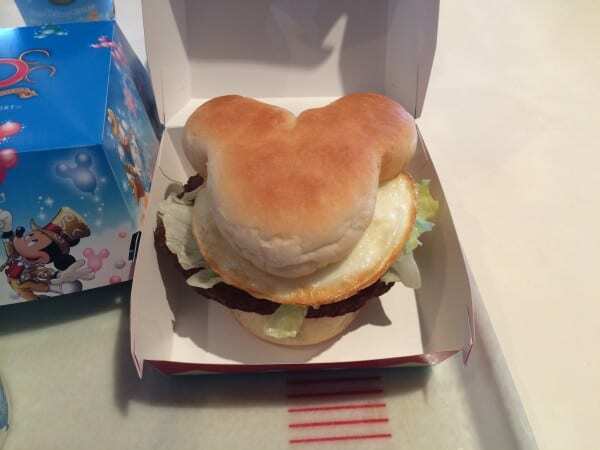 The Mickey Burger with a beef patty and egg is absolutely delicious, also in typical Japanese fashion it’s also cute. The Mickey Shaped bun is just as delicious as it is cute. Expect to pay more for food and receive smaller portion sizes – but don’t feel like you’re getting short-changed. The average price of a meal is about 950 yen, without a drink, which is about $10. 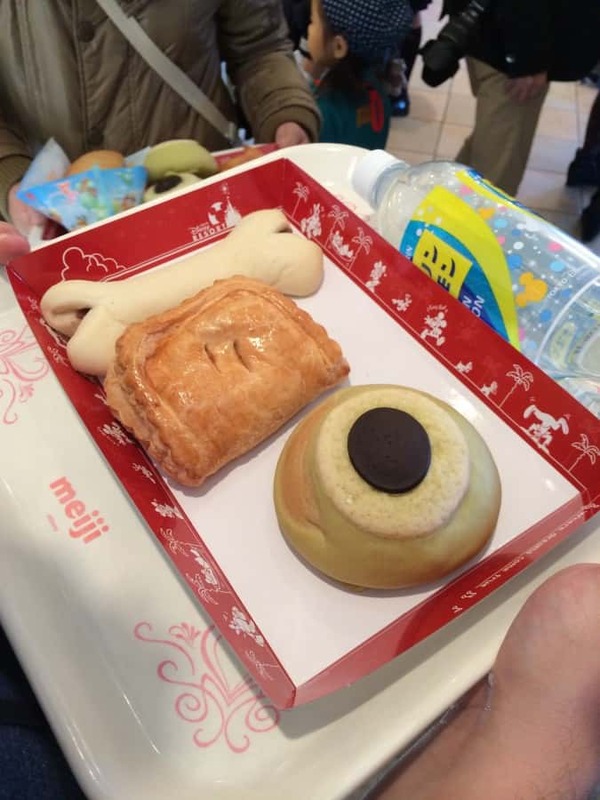 The Japanese diet is vastly different than the North American diet, and the menus at Tokyo Disney Resort cater to this. For example, if you order a large drink it won’t be as big as what you’re used to and you will pay the same amount if not more. Take this into account when ordering. Here’s an example of a fried chicken meal with fries, salad, and a bun. It’s a lot smaller than what we are used to in North America. 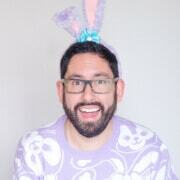 If you’re feeling nervous about being able to order, don’t be! Cast Members will have menus where you can see pictures of the food, and titles in English. You can simply point to what you want. 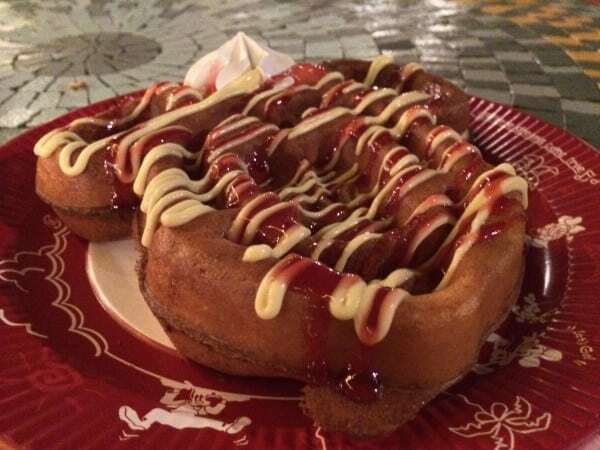 Also, many of the North American dishes are the same in Japanese as they are in English, so it’s likely the Cast Member will be able to understand what you are saying. An example is “cheeseburger” is pronounced “chiizubaagaa” (チーズバーガー) in Japanese. Those feeling adventurous can use our guide to Japanese phrases for ordering food! Exactly like the US Parks you will find Coca Cola products. They can be purchased everywhere including at themed vending machines. Recently Japan has started selling Coke Zero, so if you are a diet cola drinker then this will be your only choice. Diet Coke, or diet drinks in general, do not exist in Japan. Make sure to keep the bottle so you can refill it with water when you find a water fountain. 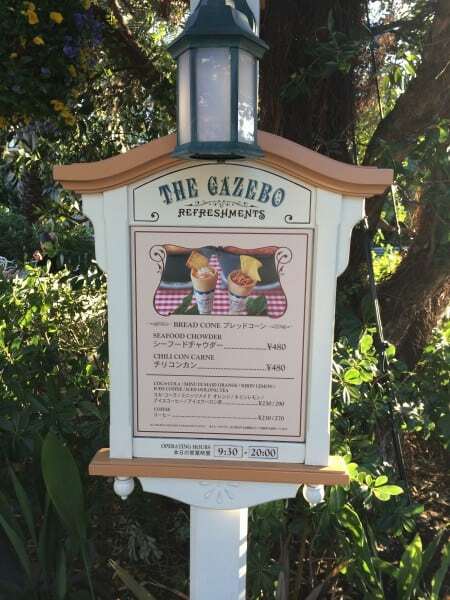 Alcoholic drinks are available in Tokyo DisneySea only. 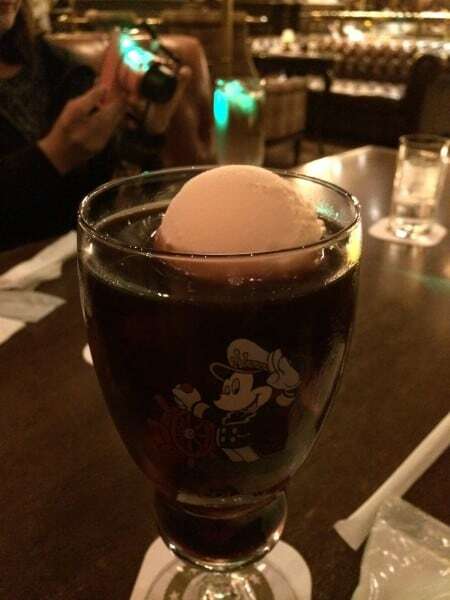 Iced Coffee with Vanilla Ice Cream in Tokyo DisneySea. After hanging around the parks for a while, you will notice a wide variety of popcorn flavours to try. 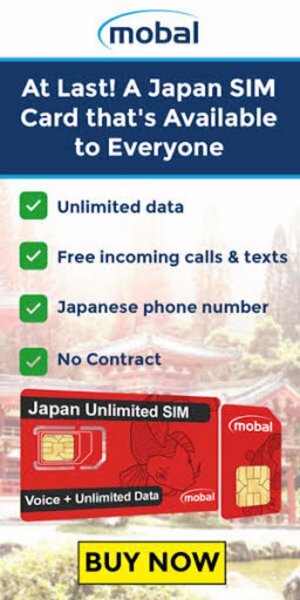 Do yourself a favour and try them out! They are absolutely delicious. Some of the flavours include Chocolate, Strawberry, Curry, Honey, Butter Soy, and Caramel. The average price is usually around ¥300 for a small box. If you want a collectible popcorn container, they usually cost between ¥1400-2000. Depending on what celebration is happening in the parks, the containers vary. The Japanese love their sweets and there’s no shortage in both the parks. Make sure to check out the seasonal treats that are around every corner. If you’re visiting during the summer months, then you can cool off with a variety of ice cream. 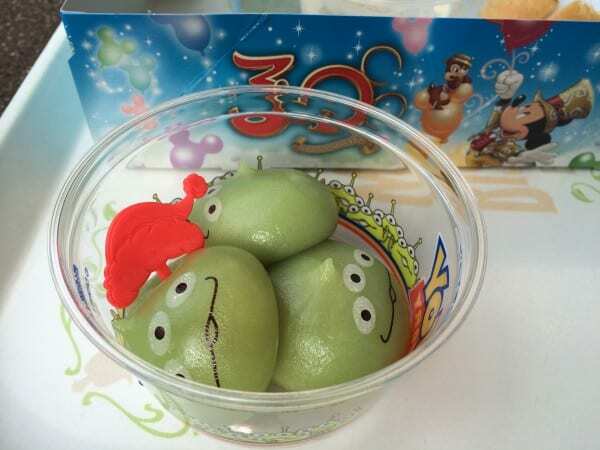 One of the most popular sweets is the little green men dumplings. You get three of them for about 350 yen (about $3.50). 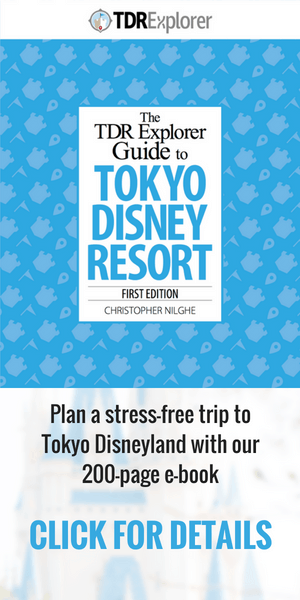 You can find them at both Tokyo Disneyland and Tokyo DisneySea. I highly recommend these! Overall, the food selection has something for everyone. While it caters to the Japanese diet you can easily find food you are familiar with. There’s also plenty of opportunity to try something new! If anyone has any more tips, photos, or suggestions please leave them in the comments. While I plan on being adventurous during my visit, I found this to be very straight forward and helpful advice. Thanks for that!